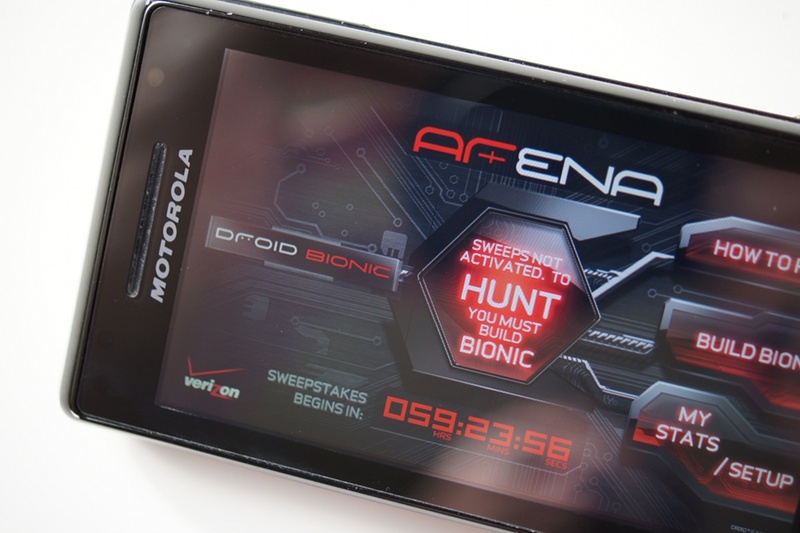 As many of you have pointed out, the Bionic ARena scavenger hunt app will not appear for you to download on the original DROID. While we could go off for quite some time on how unfortunate that is, we’ll attempt to move on and have instead given you the .apk file to sideload onto your device. So you know, this runs pretty rough on the OG and is probably the reason why they won’t make it available in the market to owners of it. You’ll get some force closes, but you can also get it to work if you are patient with it. It may not be pretty, but it should give you a chance to compete to win a new phone. After all, you have been waiting for 2 years – you deserve something for that. To install – download the file from above to your phone, tap on it when it finishes and install.